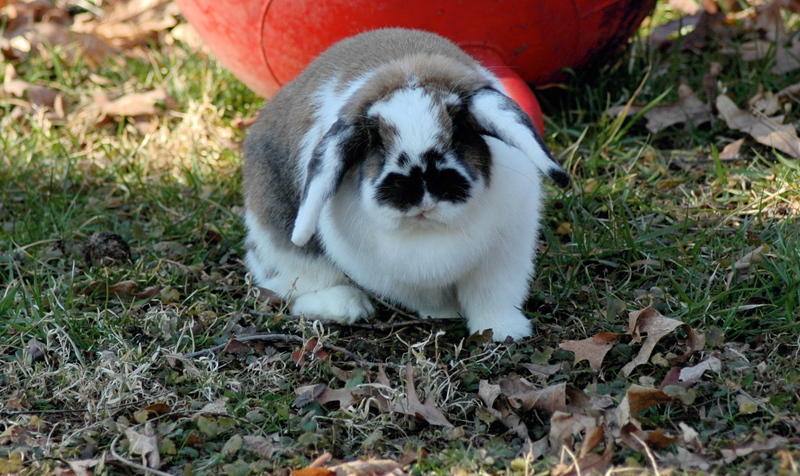 Today we sent our two beloved bunnies, Daisy and Mayflower, to a new home. I’ve referred to them on this Weblog as Bun Bun and Little Bun, respectively. Daisy was hardest for me to let go. She and I shared my basement office for more then four years. She was a delightful companion. For weeks, we had been looking for a home but with no success. Last Monday, my wife posted to three home school lists, with no promising response from anyone. The week ahead would have been one of desperation, with the rabbits going to an animal shelter on Saturday if they had no takers. We didn’t want to put them in a shelter. This afternoon, my wife asked if she should post again to the homeschool lists, and I got inspired. Why not let people know how desperate was our plight to find a good home? She posted: “Save our bunnies from the shelter”. Several responses came within minutes. One family, with seven kids, asked to take both rabbits. They had another bunny already. We took a chance that, even with so many kids, the rabbits would do well. The dad and one daughter came for Daisy and Mayflower around eight tonight. I hope their new home will be even better than this one. For her last day, I let Daisy run around the backyard, for hours. Picture above is my favorite of Daisy. Both rabbits will be missed. Now it really feels like we are moving. Two weeks from tomorrow.